Samantha from Wholesome Patisserie took our pantry ingredients and, with her delightfully simple baking recipe, transformed them into these scrumptious morsels. 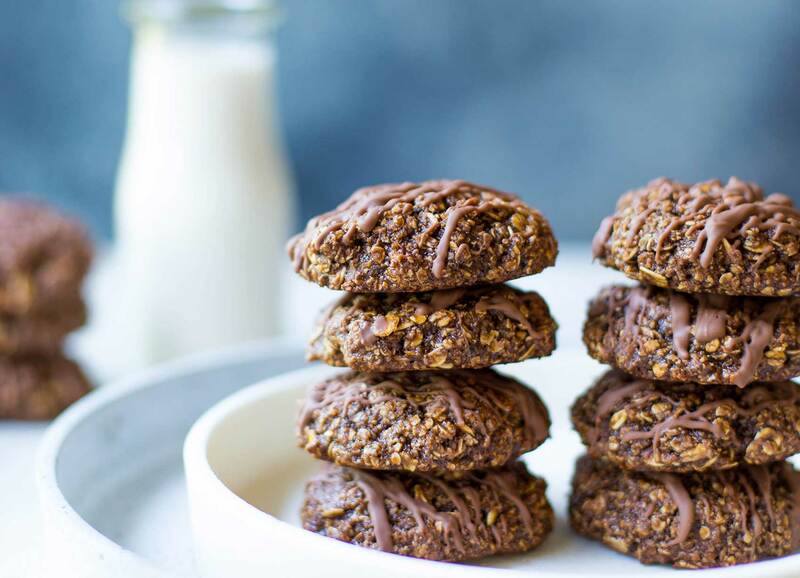 These bite-sized delights are perfect for kids and adults alike as the combination of chewy oats and drizzled chocolate slowly melts in your mouth just as you reach for the next one. It’s the ideal activity to while away the hours on rainy days during school holidays. And the 1-bowl recipe makes cleaning up a breeze, too. Preheat oven to 180ºC (356ºF) and line a baking tray with parchment paper, set aside. In a large mixing bowl, combine oats, almond flour, sugar, carob, baking powder and cinnamon. In a separate mixing bowl, whisk together eggs, maple syrup and vanilla. Pour the wet mixture into the dry and mix until well combined. Using your hands, form cookies, approx. 2-3 tbsp of mixture per cookie. A bit smaller than a golf ball. Place them on your prepared baking tray, 1 inch apart. Bake cookies for 8-10 minutes or until golden brown and they lift off the baking sheet. Let cookies cool on tray for 5 minutes before removing. Over a double boiler, melt chocolate drops on a medium heat until completely melted and smooth. Once the cookies have cooled, drizzle melted chocolate over each one. Store cookies in an airtight container, in the pantry, for 1 week - 10 days.